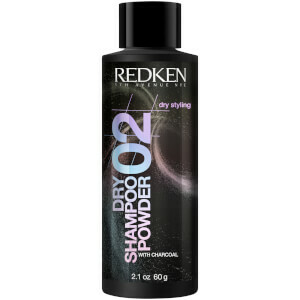 Redken Dry Shampoo Paste is a hybrid formula that combines the reworkable hold of a styling product with the freshness of a dry shampoo. The two-in-one paste can be used in between washes to absorb oil and impurities from the root, or applied to clean hair to create undone texture and lift with lasting results. Work a small amount of product onto fingertips and apply at the roots and through mid-lengths. Product can be used on damp or dry hair. Zeolite, Magnesium Sulfate, Isohexadecane, Caprylic/Capric Triglyceride, Ceteareth-25, Hydrogenated Vegetable Oil, Isopropyl Myristate, Stearyl Alcohol, Cocos Nucifera Oil / Coconut Oil, Oleth-20, Silica, Diatomaceous Earth, Stearalkonium Hectorite, Phenoxyethanol, Propylene Carbonate, Tocopheryl Acetate.